During more than a half century in the Israeli military and politics, Ariel Sharon became a figure reviled by Palestinians, the Arab world, much of the international community, and even by many Israelis. He was responsible for numerous atrocities and war crimes, including the killing of tens of thousands of Palestinian, Lebanese, and other civilians, destroying thousands of Palestinian homes, and the theft and colonization of massive amounts of occupied Palestinian land. Although some revisionists and Sharon supporters claim that he had turned over a new leaf and was prepared to make painful concessions towards peace with the Palestinians prior to suffering a massive stroke and falling into a coma in January 2006, the facts lead to a very different conclusion. 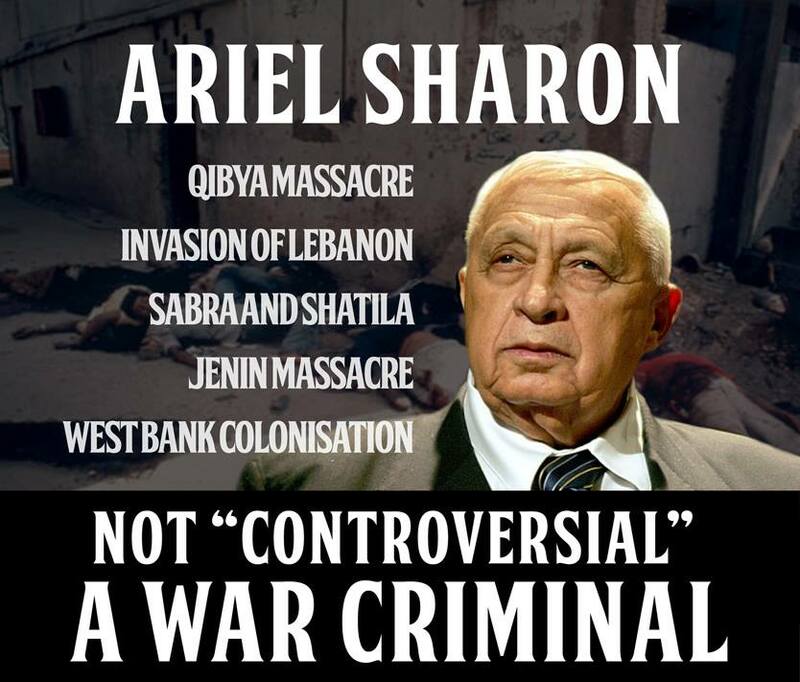 The following fact sheet provides an overview of Sharon’s war crimes and crimes against humanity, which continue to have a devastating impact on both the victims of his actions and the chances for peace between Israelis and Palestinians. In the early 1950s, as a young major in the Israeli army, Sharon led the infamous Unit 101, which carried out numerous cross-border “pre-emptive” and “retaliatory” attacks into the West Bank (then under Jordanian control following the recent creation of Israel and attendant mass expulsions of Palestinians), deliberately killing and wounding Palestinian civilians. On October 29, 1956, Israel attacked Egypt, part of an invasion in conjunction with Britain and France. During the resulting hostilities, soldiers under Sharon’s command committed a series of massacres of POWs, including more than 100 civilians. In one incident, Israeli soldiers shot and killed 49 Egyptian prisoners of war, including civilians, after binding their hands and forcing them into a quarry. In another, 56 Egyptian civilians were murdered while sheltering in the back of a truck. An Israeli colonel who witnessed the truck massacre later stated: “It was simply shocking… When they opened the back of the truck, the bodies poured out one on top of the other… I couldn’t stand the thought that we shot these people without a battle.” In a third incident, some 50 Egyptian civilian workers were murdered by Israeli soldiers near the town of Ras Sudar. Following Israel’s surprise attack against Egypt in June 1967, which resulted in Israel’s occupation of the Gaza Strip, West Bank, East Jerusalem, the Egyptian Sinai peninsula, and Syrian Golan Heights, Ariel Sharon, by now a general responsible for Israel’s southern command, was tasked with “pacifying” Gaza. In his efforts to crush resistance, Sharon ordered his soldiers to execute without trial any Palestinians suspected of involvement in the resistance, resulting in the killing of more than 1000 Palestinians. Hundreds of other young Palestinians were imprisoned. Sharon’s forces destroyed between 2000 and 6000 Palestinian homes, including large swaths of refugee camps and large tracts of agricultural land, displacing thousands of Palestinians, most of them refugees expelled from their homes in what became southern Israel in 1948.
ongoing illegal siege and blockade imposed on the tiny, overcrowded coastal strip since 2007. With the Gaza “pacification,” Sharon set the tone for decades of severe Israeli repression in Gaza, which would eventually include the ongoing illegal siege and blockade imposed on the tiny, overcrowded coastal strip since 2007. Sharon’s plan also envisioned creating a new map of the region by installing a puppet government in Lebanon headed by Israel’s right-wing Lebanese Christian Maronite allies, the Phalange Party, whose founder, Pierre Gemayal, was inspired by a visit to Nazi Germany in 1936. In 1981, the UN brokered a ceasefire between the PLO and Israel (which had been occupying southern Lebanon since invading in 1978). Over a period of nine months, Israel repeatedly violated the ceasefire in an effort to provoke a response that would justify the large-scale invasion that Sharon had been long planning. When PLO restraint failed to provide Sharon with an adequate pretext, he used the attempted assassination of Israel’s ambassador to England as a casus belli, despite the fact that Israeli intelligence believed correctly that the PLO had nothing to do with the assassination attempt (it was actually carried out by a renegade PLO splinter group that was at war with both Israel and the PLO). Between June and September, the Israeli army killed between 18,000 and 20,000 Lebanese and Palestinian civilians, bombarding and laying siege to the western half of the capital of Beirut, where the PLO and its Lebanese allies were based. The scope and scale of the carnage were so disturbing that even U.S. President Ronald Reagan, whose administration gave a “green light” to the invasion, was outraged, calling Israeli Prime Minister Menachem Begin on August 12 following a particularly bloody bombardment of west Beirut that killed 300 people and personally demanding that Israel cease fire. The Israeli army would eventually withdraw to southern Lebanon, which it would continue to militarily occupy, brutally repressing local resistance directly and indirectly through local proxy militias, for almost two decades. Only in 1999, following years of armed resistance by militant groups such as Hezbollah, which was formed in the aftermath of the 1982 invasion, did Israel withdraw from southern Lebanon. On September 15, 1982, following the departure of Yasser Arafat and the last of thousands of Palestinian fighters from Beirut two weeks earlier, part of a U.S.-brokered ceasefire, Defense Minister Sharon violated the ceasefire agreement and occupied west Beirut, where the Palestinian refugee camps of Sabra and Shatila are located. Despite assurances given to the PLO by the Reagan administration that hundreds of thousands of Palestinian civilians left behind would be protected by international forces including U.S. marines who had landed to facilitate the evacuation of the PLO, the international forces withdrew prematurely on September 13, leaving the remaining Palestinian civilians defenseless. Over the next three days, between 800 and 3500 Palestinian refugees and Lebanese, mostly women, children, and the elderly, were butchered by the Phalangists, who sexually assaulted, tortured and mutilated many of their victims, in one of the worst atrocities in the modern history of the Middle East. Soon after the killing started, Israeli soldiers surrounding Sabra and Shatila became aware that civilians were being murdered, but did nothing to stop it. Instead, Israeli forces fired flares into the night sky to illuminate the darkness for the Phalangists, allowed reinforcements to enter the camps on the second day of the massacre, and provided bulldozers that were used to dispose of the bodies of many of the victims, one of the reasons the number of victims remains uncertain. The Phalangists finally left the camps on Saturday morning, taking many of the surviving men with them for interrogation at a soccer stadium. The interrogations were carried out with Israeli intelligence agents, who handed many of the captives back to the Phalange. Some of the men returned to the Phalange were later found executed. Following domestic and international outrage, the Israeli government established a committee of inquiry, the Kahan Commission. Its investigation found that Sharon bore “personal responsibility” for the massacre and recommended that he be removed from office. He was removed from his post as defense minister, but remained in Begin’s cabinet as a minister without portfolio. A few months later, he was appointed Minister of Industry, Trade and Labor in Shimon Peres’ coalition government. He would go on to serve in different ministerial positions in successive Israeli governments almost continually between 1984 and 1999 before becoming leader of the Likud Party following Netanyahu’s loss to Labor Party leader Ehud Barak in 1999. In January 2002, Phalange leader and chief liaison to Israel during the 1982 invasion, Elie Hobeika, was killed by a car bomb in Beirut. Hobeika led the Phalangist militiamen responsible for the massacre, and had announced that he was prepared to testify against Sharon, then prime minister of Israel, at a possible war crimes trial in Belgium. In June 2002, a panel of Belgian judges dismissed war crimes charges against Sharon because he wasn’t present in the country to stand trial. With his stroke and coma in 2006, efforts to hold Sharon accountable for the slaughter in Sabra and Shatila came to an end. Starting in the 1970s, Sharon became one of the leading champions of the drive to colonize the territories Israel occupied during the 1967 war, a war crime under the Fourth Geneva Convention. From the start, Sharon and other Israeli leaders used Israel’s Jewish settlement enterprise to cement Israeli control over the occupied territories and to forestall efforts to create an independent Palestinian state there. As head of various government ministries over more than two decade, Sharon encouraged and advanced the colonization of occupied Palestinian land at every opportunity. As housing minister in the early 1990s, he oversaw the largest expansion of Jewish settlements on occupied Palestinian land since the start of the occupation in 1967. During the 1990s, while Israel was negotiating the Oslo Accords with the PLO, Sharon encouraged settlers to “grab every hilltop” in the West Bank in order to create irreversible “facts on the ground” before a final peace agreement could be signed. Today there are more than 500,000 Jewish settlers living in occupied East Jerusalem and the West Bank, their numbers constantly growing. 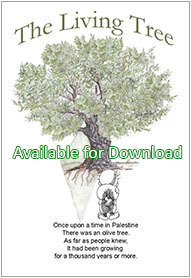 The settlement enterprise that Sharon bore so much responsibility for is now the greatest obstacle to the realization of the two-state solution, which has been the cornerstone of international efforts to make peace in the region for decades. In planning the locations of settlements, Sharon attempted to divide and sever Palestinian population centers from one another and the outside world, creating a number of easily-controlled Bantustans surrounded by walls, Israeli colonies and Israeli-only roads, military bases, and checkpoints. Nearly a decade after Sharon fell into a coma, the Bantustan model he championed to control Palestinians in the occupied territories continues to become more entrenched by the day. In May 2003, former Italian Prime Minister Massimo D’Alema revealed that during a meeting Sharon had explained to him at length that apartheid South Africa’s “Bantustan” system, which the white regime used to contain and control the black population, was the best solution to the Israeli-Palestinian conflict. Sharon demonstrated his personal dedication to the settlement enterprise, and assertion of control over occupied East Jerusalem, by buying a home in the Muslim Quarter in the Old City and hanging large Israeli flags from the building, as is the custom of settlers in the Old City and elsewhere. As defense minister, Sharon oversaw the dismantling of a settlement in the occupied Egyptian Sinai peninsula as part of the 1979 peace treaty with Egypt, in an act sometimes cited by his supporters as a bold move for peace foreshadowing the withdrawal of settlers from Gaza in 2005. In reality Israel’s willingness to relinquish the Sinai was part of a strategic decision to neutralize Egypt, the largest and most powerful Arab state. 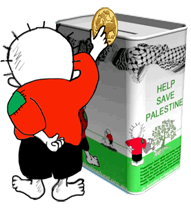 Doing so freed up Israeli forces to suppress Palestinian resistance in the occupied territories and Lebanon, and to continue its occupation and colonization of the West Bank, East Jerusalem, Gaza and the Syrian Golan Heights. In August 1980, Israel reaffirmed its annexation of occupied East Jerusalem in a move once against rejected by the UN and international community, and in December 1981 Israel effectively annexed the Syrian Golan Heights. In June 1982, just two months after the dismantling of the Yamit settlement in the Sinai, Sharon launched his full-scale invasion of Lebanon, something Israeli military leaders would likely never have attempted if they still had to worry about Egypt attacking Israel’s southern flank. In spite of the disgrace resulting from his disastrous invasion of Lebanon and the horrors of Sabra and Shatila, which led to his removal as defense minister, by the late 1990s Sharon had returned to the center of power in Israel, becoming leader of the Likud Party following Netanyahu’s loss to Labor Party leader Ehud Barak in 1999. On September 28, 2000, amidst rising tensions between Israelis and Palestinians following the failure of U.S.-sponsored negotiations at Camp David and seven years of peace talks that witnessed a doubling of the number of Jewish settlers living on occupied Palestinian land (in no small part due to Sharon) and increasingly draconian Israeli restrictions on Palestinian movement, Sharon made a visit to the Noble Sanctuary mosque complex in occupied East Jerusalem – one of the most sensitive religious sites in the world – accompanied by 1000 Israeli police officers. His goal was to assert Israeli sovereignty over the site and to seek favor with right-wing voters ahead of elections. As predicted, Sharon’s visit provoked civil unrest, which Israeli security forces responded to with lethal force. The day after Sharon’s visit, seven Palestinians were killed and 100 wounded. The next day, Israeli forces killed 10 more Palestinians, setting off a spiral of violence that became the Second Intifada (uprising) against Israel’s occupation. According to UN figures, by the end of November, 247 Palestinians had been killed by Israeli forces, including 13 Palestinian citizens of Israel, and approximately 10,000 wounded, almost of half of them children. Many of the victims were shot in the head with live ammunition by snipers. In February 2001, riding a wave of aggressive nationalist sentiment following the outbreak of the Second Intifada, Sharon defeated Barak in an electoral landslide. Upon assuming power the following month, Sharon ended diplomatic contacts with the PLO, effectively ending the peace process, despite pleas from Arafat to continue negotiations. In a repeat of his efforts to destroy the PLO and crush resistance in Gaza in the 1970s, Prime Minister Sharon used extreme force, including large-scale military operations, assassinations of Palestinian political and military leaders, mass incarceration of Palestinians, and mass demolitions of Palestinian homes to suppress the Second Intifada. According to Israeli human rights organization B’Tselem, between September 2000 and September 2005, Israel assassinated 187 Palestinians, killing almost 300 innocent bystanders in the process. In March 2002, Sharon launched a massive assault on the West Bank called Operation Defensive Shield, reoccupying areas that Israeli soldiers had redeployed from as part of the Oslo Accords. 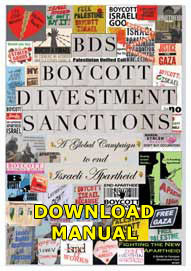 Human rights groups subsequently documented numerous war crimes carried out by Israeli forces during Operation Defensive Shield and related military actions, including the use of excessive force, widespread, wanton destruction and vandalism of Palestinian property, including schools, medical clinics and mosques and churches. Israeli soldiers denied the wounded access to medical care, causing many unnecessary deaths, attacked ambulances, and shot at Palestinians as they attempted to help the wounded and retrieve the bodies of the dead. “I have been in urban environments where house to house fighting has happened: Rwanda, Nicaragua, El Salvador, Colombia, and a city struck by a massive earthquake: Mexico City. The devastation seen in Jenin camp had the worst elements of both situations. Houses not just bulldozed or dynamited but reduced almost to dust by the repeated and deliberate coming and goings of bulldozers and tanks. Houses pierced from wall to wall by tank or helicopter gun ships. Houses cut down the middle as if by giant scissors. Inside, an eerie vision of dining or bedrooms almost intact. No signs whatsoever that that bedroom or dining room or indeed the house had been used by fighters. Gratuitous, wanton, unnecessary destruction. According to Israeli human rights organization B’Tselem, between September 2000 and September 2005, Israeli forces killed more than 3200 Palestinians, including at least 657 minors. During the same period, Palestinians killed 972 Israelis, according to B’Tselem, including 80 minors. In 2002, under the pretext of security during the Second Intifada, Sharon’s government began construction of a wall to separate Israelis from Palestinians in the West Bank, including large parts of Palestinian West Bank land on the western or Israeli side. When finished, the wall, along with the settlements, Israeli-only roads and closed military zones, are projected to cover approximately 46% of the West Bank, effectively annexing it to Israel. The wall also surrounds much of occupied East Jerusalem, cutting its approximately 200,000 Palestinian residents off from the rest of the occupied West Bank, and millions of West Bank Palestinians from holy and other sites in Jerusalem. In July 2004, the International Court of Justice (ICJ) issued an advisory opinion deeming the wall illegal, as most of it (85%) has been or will be built on Palestinian land inside the occupied West Bank rather than along Israel’s internationally recognized pre-1967 borders with the West Bank. During construction of the wall, Israel destroyed large amounts of Palestinian farmland, cut off thousands of Palestinians from their land, and usurped Palestinian water supplies. In October 2004, after enduring a two-year siege by the Israeli military imposed by Sharon in his West Bank headquarters, PLO leader Yasser Arafat fell seriously ill. Two weeks later he was transported to a French military hospital where he died. Doctors concluded he died from a stroke caused by a mysterious blood disorder. Tests by Swiss forensics experts subsequently found traces of Polonium-210, a radioactive substance produced in nuclear reactors that had previously been used in the high-profile assassination of a former KGB agent in England, in Arafat’s remains. Given that Sharon had spent years attempting to kill Arafat as part of Israel’slongstanding policy of assassinating Palestinian leaders, including through the use of poison, many Palestinians suspected Israel was responsible for Arafat’s sudden demise. Israel is also the only country in the region known to have a nuclear reactor and the motive to kill Arafat. “The significance of the disengagement plan is the freezing of the peace process.”And when you freeze that process, you prevent the establishment of a Palestinian state, and you prevent a discussion on the refugees, the borders and Jerusalem. Effectively, this whole package called the Palestinian state, with all that it entails, has been removed indefinitely from our agenda. And all this with authority and permission. All with a presidential blessing and the ratification of both houses of Congress. In September 2005, amidst much media hype, Israel completed its withdrawal of settlers and soldiers from the interior of Gaza. Despite the pullout, Gaza remains under Israeli military occupation according to international law as Israeli forces maintain “effective control” over the area. As a result of the Gaza withdrawal and resulting rebellion in his hardline Likud Party, Sharon left the party and formed the new Kadima party in November 2005, which today has only two members in the Israeli parliament. In January 2006, Sharon suffered a massive stroke and fell into a coma from which he never recovered. On January 11, 2014, he was pronounced dead.